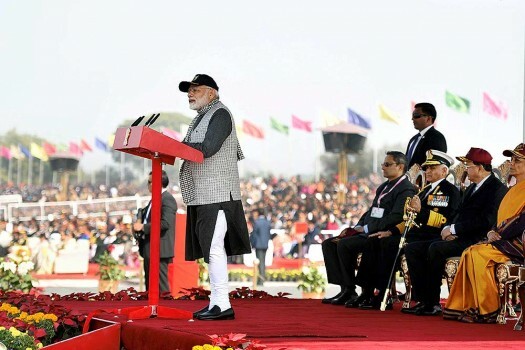 Prime Minister Narendra Modi at the NCC Rally, in New Delhi. 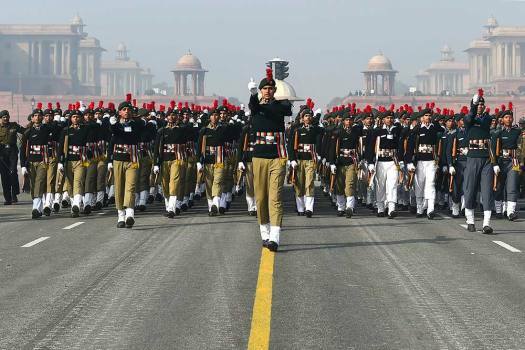 NCC Cadets march at Prime Minister's NCC Rally, in New Delhi. 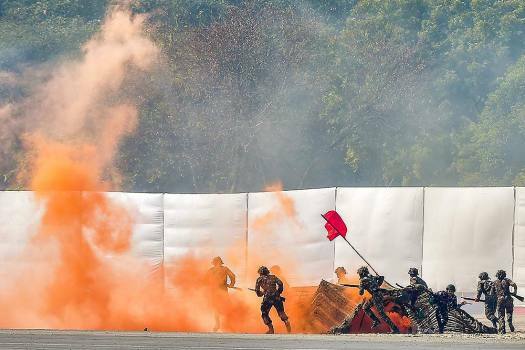 NCC Cadets show their skills at Prime Minister's NCC Rally, in New Delhi. 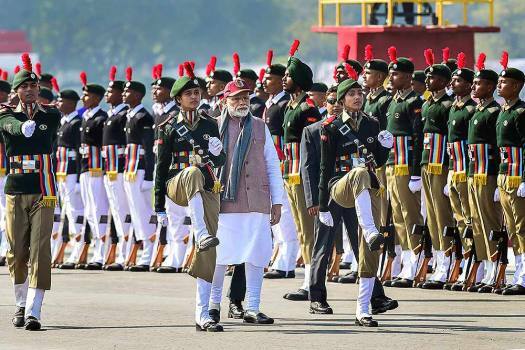 Prime Minister Narendra Modi inspects guard of honour at the Prime Minister's NCC Rally, in New Delhi. 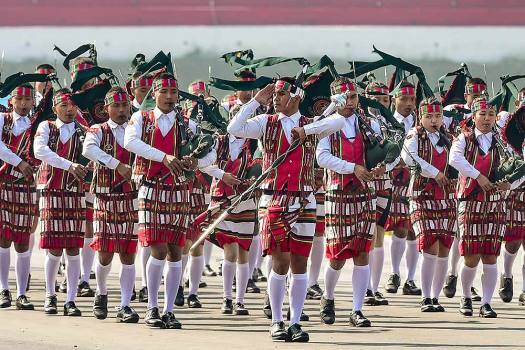 National Cadet Corps (NCC) cadets march during rehearsals for the upcoming Republic Day parade 2019, on a cold morning, at Rajpath in New Delhi. 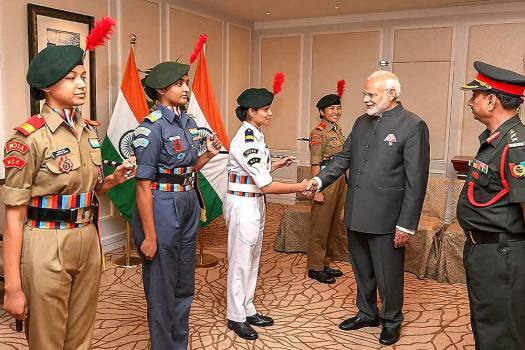 Prime Minister Narendra Modi interacts with the NCC cadets of India, as part of an international cadet exchange programme, in Singapore. 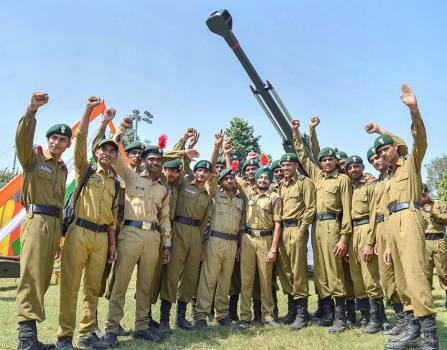 NCC cadets pose for photos during an event to commemorate 'Parakram Parv', in Jabalpur. 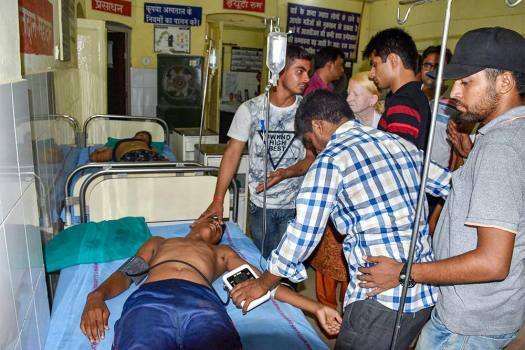 National Cadet Corps cadet being brought for treatment after an alleged case of food poisoning at their training camp, in Allahabad. 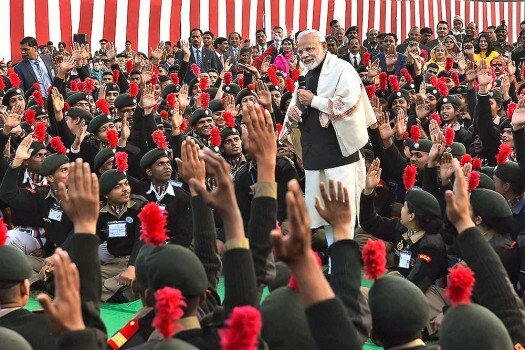 Prime Minister Narendra Modi interacts with the NCC cadets, who participated in Republic-Day Parade-2018, in New Delhi. 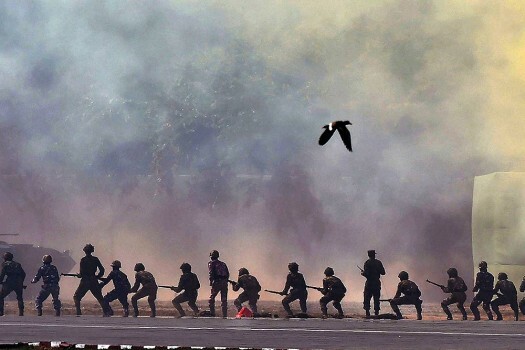 NCC cadets show their skills during the Prime Minister's NCC Rally, in New Delhi. 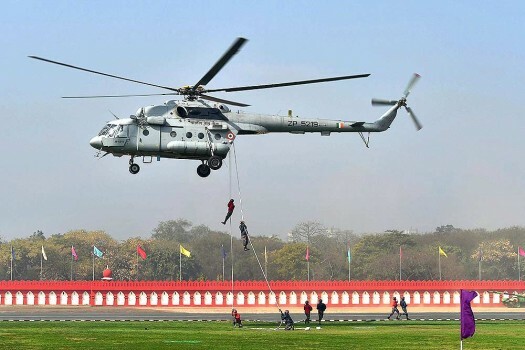 NCC cadets descend from a chopper as they show their skills during the Prime Minister's NCC Rally, in New Delhi. 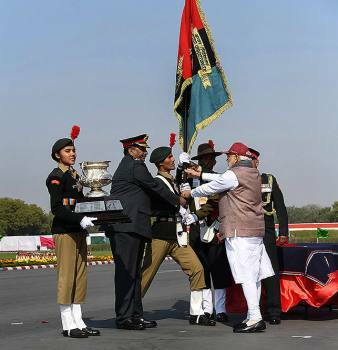 Prime Minister Narendra Modi and DG, NCC, Lt. Gen. B.S. Sahrawat in a group photo with the awardees at the PM's NCC Rally, in New Delhi. Prime Minister Narendra Modi addresses the PM's NCC Rally, in New Delhi. 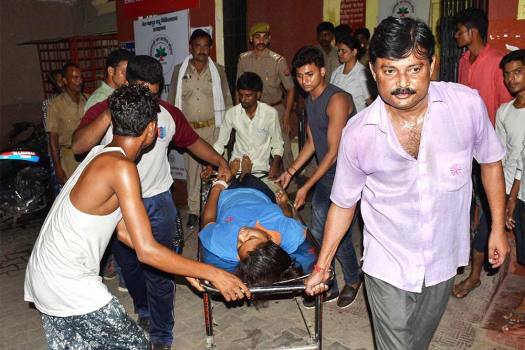 Union Minister for Defence, Nirmala Sitharaman is also seen. 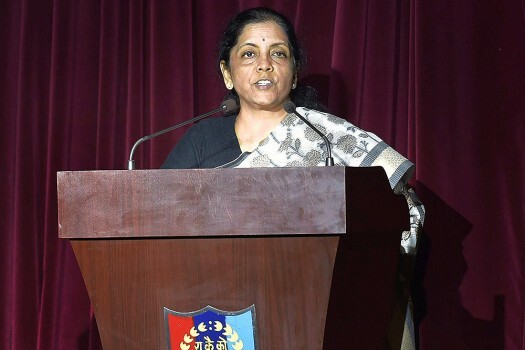 Defence Minister Nirmala Sitharaman speaks during a visit to NCC Republic Day camp at Delhi Cantt in New Delhi. 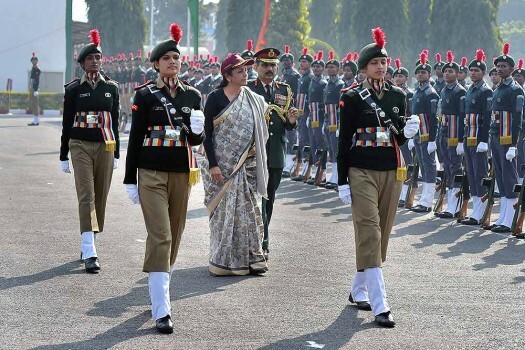 Defence Minister Nirmala Sitharaman inspects a guard of honour during a visit to NCC Republic Day camp at Delhi Cantt in New Delhi.